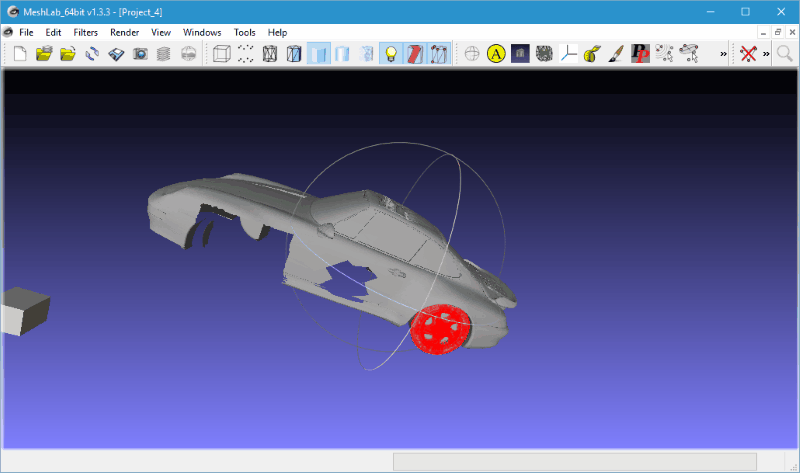 Here is a list of Best Free STL Editor Software For Windows. These 3D design software let you import STL files along with other 3D drawing files. Once imported, you can use various tools available in these software to edit STL files as required. Some let you apply simple modifications, while some help you out with advanced tools to make your work easy. Some of these STL editors are 3D printing software, and let you print 3D designs after you have completed your design. If you are new to this environment, you might take some time to get along with using these freeware; however, these are pretty easy to understand and operate. A STL file or STereoLithography file is a native file format for Stereolithography. It is commonly used for 3D design and 3D printing purposes. If you are already into 3D printing, then you must be aware of these terms. A STL file is basically representation of 3D diagrams using small triangular meshes. Well, these freeware let you open and modify STL files by editing triangular mesh, adding new mesh layer, new shapes, and much more. Other features that you will find in some of these STL editor are Repair Tool, inbuilt blocks, shape building tool, 2D to 3D development tool, etc. All of the mentioned STD editing tools are absolutely free to use with/without some limitations. To know more about these software to edit STL files, go through the article. Each freeware has been summarized briefly. You will also know How To Edit STL Files with these software. Almost all of these software are equally capable of editing STL files. It is just their interface which you can get used to will workout as the best one for you. Wings 3D impressed me with its simple and easy to use interface. Autodesk Meshmixer impressed me with its array of numerous editing tools. You can also checkout the list of best free CAD Software, STEP File Viewer Software, and 3D Rendering Software. 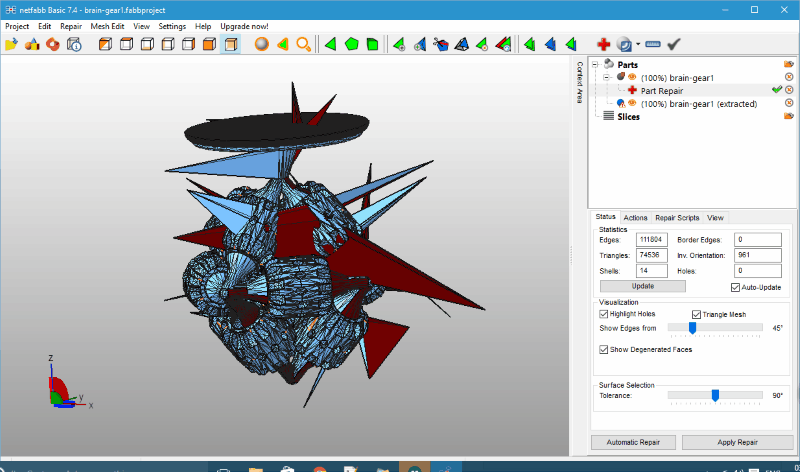 Wings 3D is a free multi-platform STL editor for Windows, Mac, and Linux. 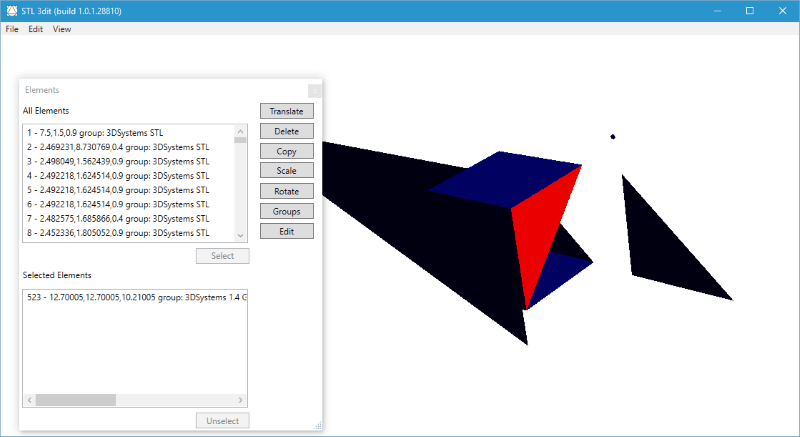 It is a simple freeware, though carries a set of tools to edit STL and other 3D drawing files pretty easily. Simply import a STL file to open it, then right click to explore a set of tools. These tools let you move, rotate, scale, shift, flip, invert, slice, cleanup, duplicate, and delete the open file. More tools are available in the Tool option, which let you align axes, set default axes, apply magnet mask, etc. All the above mentioned tools can be used after you select edges, vertices, faces, and objects using the Selection tool. There are various file formats which this software can import and export. Files that can be Imported: ndo, 3ds, ai, obj, eps, stl, and svg. Files can be Exported as: ndo, 3ds, bzw, dae, eps, xml, obj, pov, stl, wrl, etc. Following image files can also be imported: bmp, jpg, png, tge, and tiff. Autodesk Meshmixer is another free multi platform STL editor available for Windows, OS X, and Linux. It has various tools to help you design and edit 3D designs. The best part about this freeware is that it is compatible with 3D printing. Load an existing design in STL format to edit it using selection and editing tools. The selection tools let you erase, fill, remesh, extract, bridge, join, and separate the selections. Selections can be converted to solid part, stamp, or open part. The editing tools available let you easily apply changes to a design. These tools let you mirror, duplicate, transform, align, plane cut, make solid, hollow, make slice, add tube, and unwrap. The Sculpt and Stamp tools are equally helpful with 3D designing. The Shader tool lets you apply shades to you 3D design. Supported formats are: obj, ply, stl, amf, mix, wrl, smesh, dae, etc. Option to 3D print is also available. Click it to print your 3D design directly from this software. 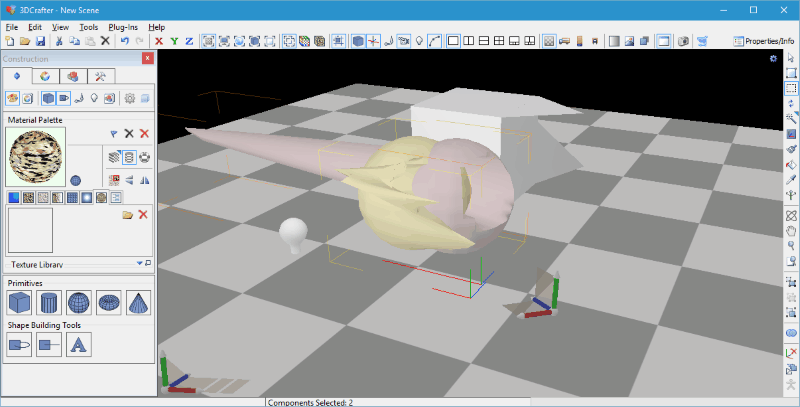 MeshLab is an open source 3D designing software, which can be used to edit STL files. It has an extensive list of tools, which are easy to understand and use; all of it in a neat interface. It lets you work with layers on a 3D design. You can either create a Mesh Layer or a Raster Layer. Complete or change a design using 3D triangular meshes. Selection tools let you select faces and vertices to apply editing on them. Sampling and texture application options are also available. Various rendering tools let you add shade, light, background, etc. Rotate and view your design in 3 dimensional space. It supports following formats: ply, stl, ong, off, dae, pts, xyz, gts, tri, asc, x3d, x3dv, wrl, etc. MeshMagic is another good freeware to edit STL files. Its a rather easy to use 3D modeling software with preloaded shapes and tools. It has a unique feature to convert 2D shapes into 3D. Open a STL file in the work-space to edit it. Add cube, sphere, and torus to your file. Colors and textures can be added to a selected shape. Tools available let you invert, recalculate, reverse, duplicate, group, split, intersect, subtract, and unite objects. 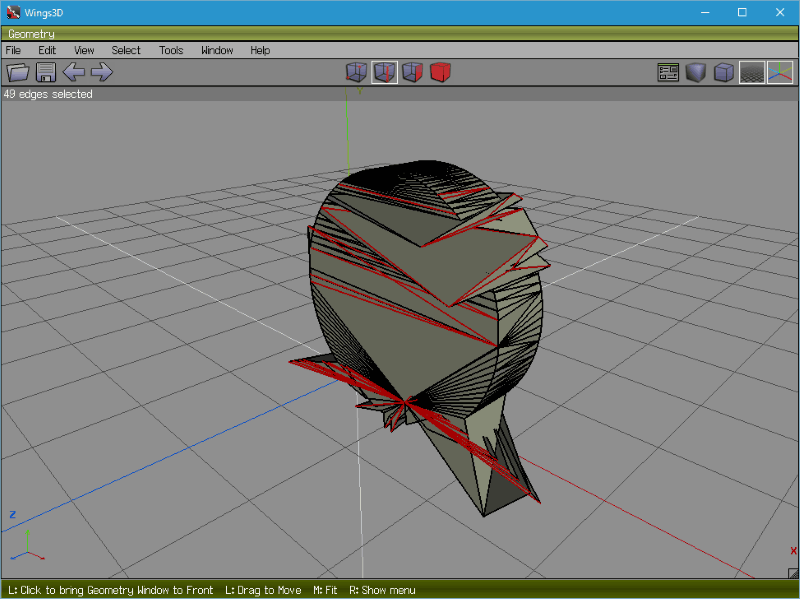 A generated shape can be viewed in solid, wireframe, backface cutting, and specular views. Supported formats are: stl, 3dp, 3ds, 3mf, obj, and ply. 3DCrafter is a simple 3D modeling software for beginners, where you can edit STL files for free. It has a 3D shape building tool, which makes 3D modelling pretty easy. Various primitive 3D shapes are preloaded, which can be used with your design. The available tools let you deform, sculpt, and paint 3D objects with ease. Standard tools, like selection tools and editing tools are easy to get along with. Customizable toolbar is an additional advantage of this STL editor, as you can keep frequently used tools handy on the interface. This software also gives you option for 3D animation with its vast set of tools. It is a freeware version and does not have as many functions unlocked as the paid ones for animation. Formats that can be imported: AC3D, dxf, iob, rtg, raw, rbs, stl, 3do, 3ds, cob, xgl, xyz, zgl, etc. Files can only be exported as pov and rib formats in the free version. Netfabb Basic is another free 3D printing software which supports STL editing. The highlight of this software is its repair mode. You can load a mesh file and edit it easily by repairing or adding new predefined shapes to it. The Repair Tool includes these options: Automatic repair, close all holes, close trivial holes, stitch triangle, detect self intersection, fix flipped triangle, split non-oriented edge, and remove double triangle. Other tools to edit mesh, change view, duplicate, change color, rotate, scale, mirror, etc. are also available. This freeware version has basic tools, more advanced tools to edit STL files are available in the pro version, which you will have to purchase to use. 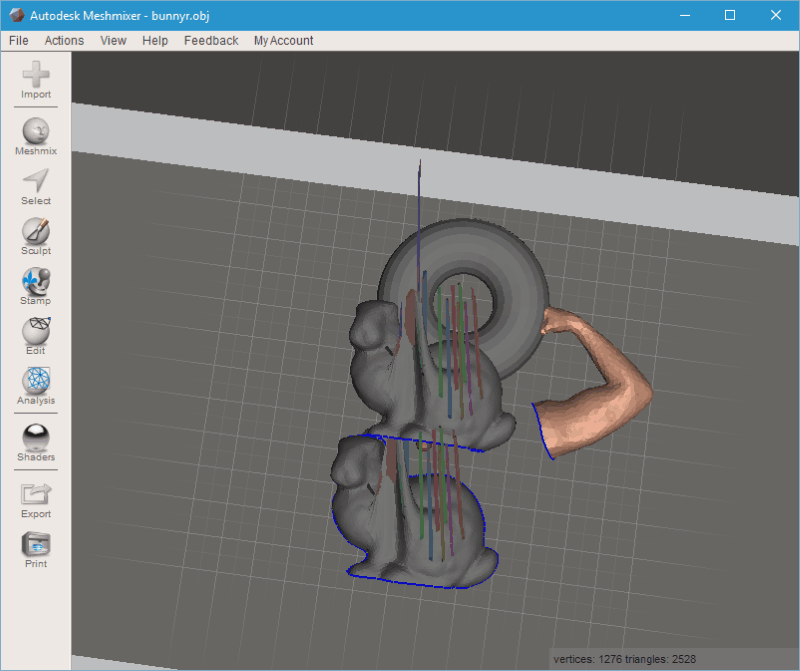 STL 3dit is a simple open source STL editor software for Windows. 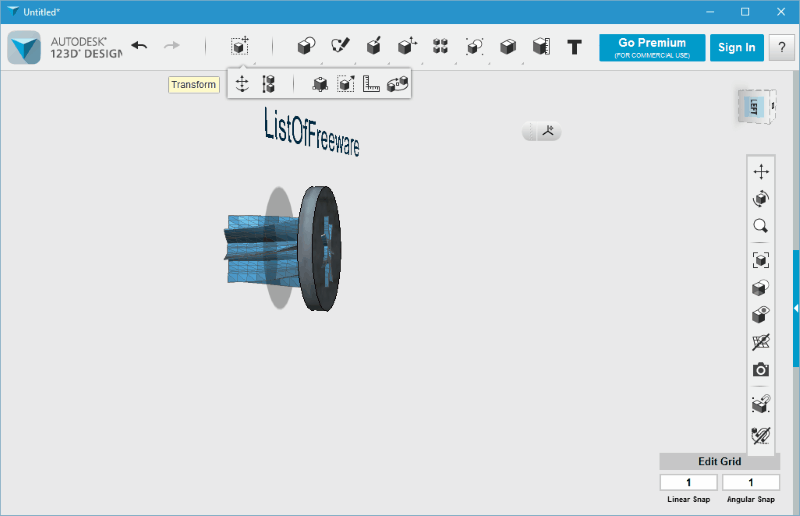 It lets you modify and edit 3D objects on its easy to use interface. You can also use it to transform 2D objects into 3D. When you open a STL file, you can either choose all elements or a single element to edit or modify. Use this software to make minimal editing to your STL file. 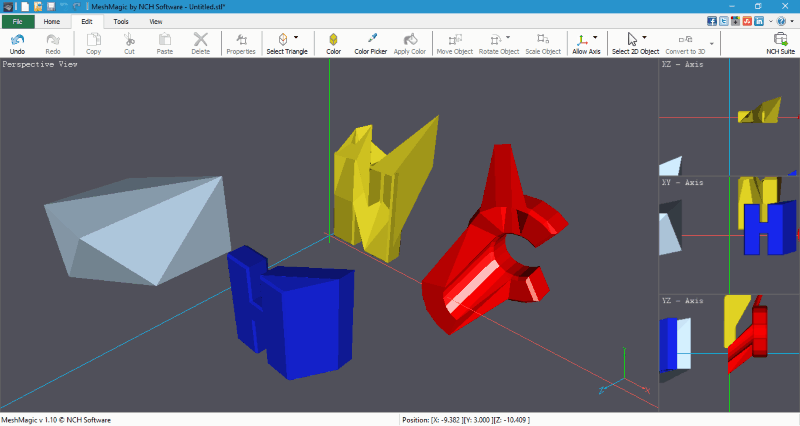 Autodesk 123D Design has been provided as a free 3D printing software, which can edit STL files. The free version has been provided with almost all features of premium ones, but cannot be used commercially. It has numerous tools to edit and make 3D designs professionally. Primitives Objects: Box, sphere, cylinder, torus, cone, prism, pyramid, and hemisphere. Pattern: Rectangular, circular, path, and mirror. Combine: Merge, subtract, intersect, and separate. Measure: face/edge/vertex/, distance, angle, area, and volume. There are various export options available; choose to export 3D diagrams in 2D or 3D. 2D export formats are: svg, dwg, and dxf. 3D export formats are: stl, dwg, dxf, sat, step, x3d, and vrml. A project can be saved as .123dx. This STL editor is available for Windows, MAC OS, and iOS for iPads.